I’ve always had a soft spot for classic neighborhood bars and my recent visit to Onieals reminded me of what a great local bar truly is. Located right off of Church Square Park on 4th Street and Park Avenue, it’s been a Hoboken staple for over 2 decades. 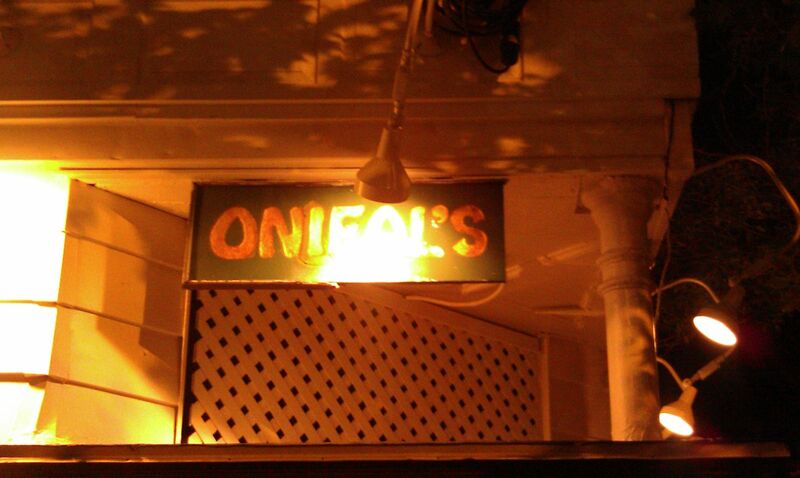 It’s certainly not the biggest bar, and it doesn’t have the flashiest insides but if you’ve lived in midtown Hoboken, you’ve been to Onieals. Walk into Onieals on any weekend night and you will be greeted by a bar area that is mixed with some people just grabbing a drink while they wait for one of the dinner tables to open up and others that are making a night of it at the bar. We showed up at Onieals and it was packed as usual. We decided to wait for one of the outdoor tables and have a couple of drinks at the bar. During the summer months the seating at Onieals doubles with the inclusion of their outdoor eating space that looks out onto Church Square Park, one of the largest green areas in Hoboken. I found a couple of people leaving and took their seats at the bar and ordered from their extensive beer list a couple of my favorite German brews. One of my favorite things about Onieals is that the beer list is prominently displayed right on one of the mirrors. Another one of my favorite things is that not only do they subscribe to the baseball package and get all of the out of town games…but they actually use it to its potential. A lot of places have the out of town games, but they will still basically only show the Mets, Yankees, Red Sox and Phillies. When we were at Onieals they even had the Tampa Rays game on, and thankfully for me my St. Louis Cardinals on. 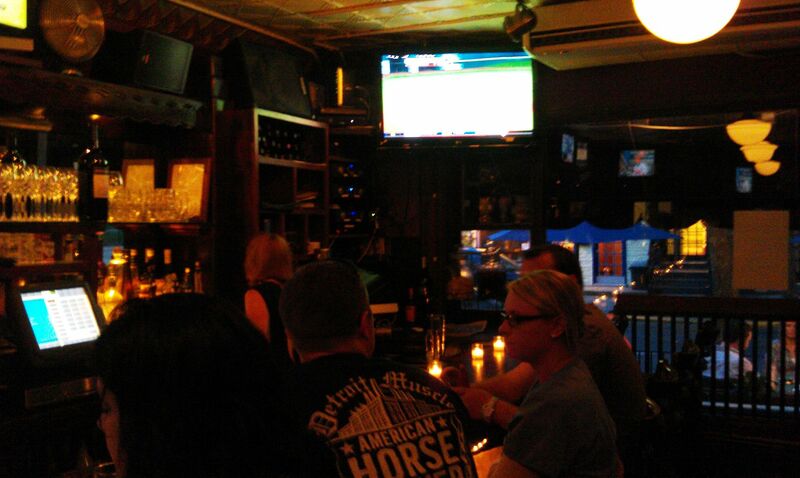 It is a little uncomfortable to ask the bartenders to change the TV to a game that only a handful of people in all of New Jersey care about so having the game already on is a big plus for me. Preconceived notion – I’ve been here many times before. I like getting here for a drink or two before I sit down and have their delicious food…and most people there do the same. 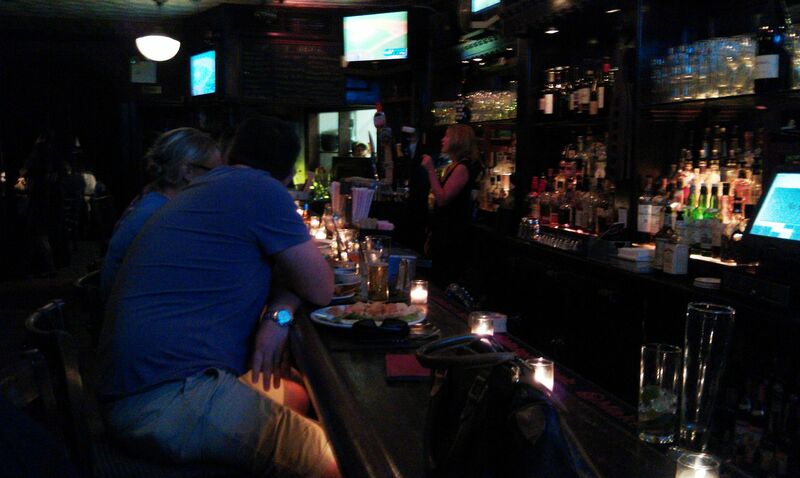 Bar Type – Your classic Irish, neighborhood bar. 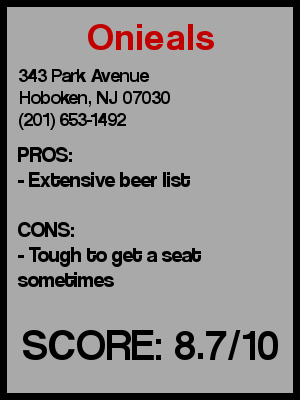 Crowd stereotype – It’s got an older more mature crowd than many Hoboken bars. Mostly couples and people in their early 30s. Value – They do have happy hour specials, but we weren’t there while there were any specials. Date – Very good place for a first date. Everyone feels comfortable there. Hookup – Probably wouldn’t be hooking up at the bar, but maybe you can meet someone here. First or last drink of the night – I like it as a first drink kind of a place. Overall – This bar has been one of my favorite places to grab a beer and a nice bite to eat on a Friday evening after a long week of work. I wouldn’t head here if I was looking for a crazy night out, but if you want a few drinks and some good conversation then this is a great place. It’s not trying to compete with the new bars in town, but it has stood the test of time…and rightly so I’ll give it an 8.7.